MaxPipe 100 – Pipe repair bandage water activated. Is high-performance rapid curing moisture activated bandage developed explicitly for the repair of leaking pipes. Maxpipe 100 is supplied in several widths and lengths enabling repairs to all pipe diametres. MAXPIPE 100 – PIPE REPAIR TAPE is a water activated fiberglass pipe repair tape, designed to stop pipe leaks fast. The material is perfect for rapid repairs to pipes from 1″ up to 6″. MAXPIPE 100 – PIPE REPAIR TAPE is a strong, durable and economical way to repair pipe leaks is situ, minimising downtime and disruption. The product is designed for low-pressure leaks up to 10-bar and can be used for pipe leak repairs where the pressure can not be reduced. The maximum service temperature once the product has cured, 200°C. 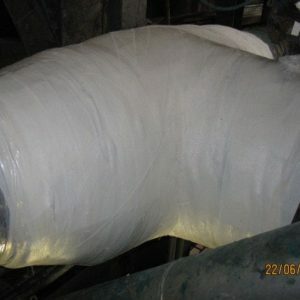 The material is supplied in several widths and lengths enabling repairs to various pipe diameters. MAXPIPE 100 – WATER ACTIVATED PIPE REPAIR TAPE is a water activated fiberglass pipe repair tape, designed to stop pipe leaks fast. The material is perfect for rapid repairs to pipes from 1″ up to 6″. MAXPIPE 100 – PIPE REPAIR TAPE is a strong, durable and economical way to repair pipe leaks is situ, minimising downtime and disruption. The product is designed for low-pressure pipe sealing and leaks up to 10-bar and can be used for pipe leak repairs even when the pressure cannot be reduced. The maximum service temperature once the product has cured, 200°C. The material is supplied in several widths and lengths enabling repairs to various pipe diameters. Ideally all pressure should be removed from the pipe before the repair commences. 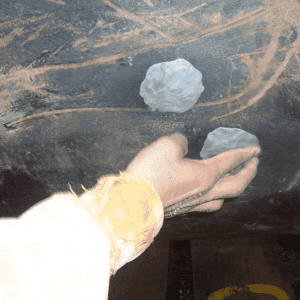 Steel & Cast-Iron Pipes – For leaks where pressure cannot be removed, holes should first be plugged using MME 300 – Metal Repair Stick or sealed with MPI 300 – Silicone Self Fusing Tape. Once the flow of water has stopped degrease the area to remove any oils and surface contamination. 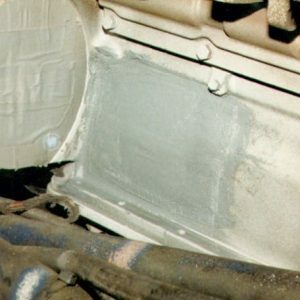 Using an angle grinder or wire brush, remove any rust or loose paint that may be present. Copper, Stainless and Plastic Pipes – Copper or stainless-steel pipes should be roughened with a course file, rasp or saw blade. For plastic pipes abrade surfaces with coarse grit emery cloth. A saw blade may also be used to create a crosshatch pattern. This is particularly useful on polypropylene and PVDF piping. Before and during application, lightweight disposable gloves should be worn to protect the hands. MaxPipe 100 Emergency Pipe Repair Tape is a single component material, which should be fully immersed in clean water and squeezed two or three times to activate the resin for about five seconds prior to use. 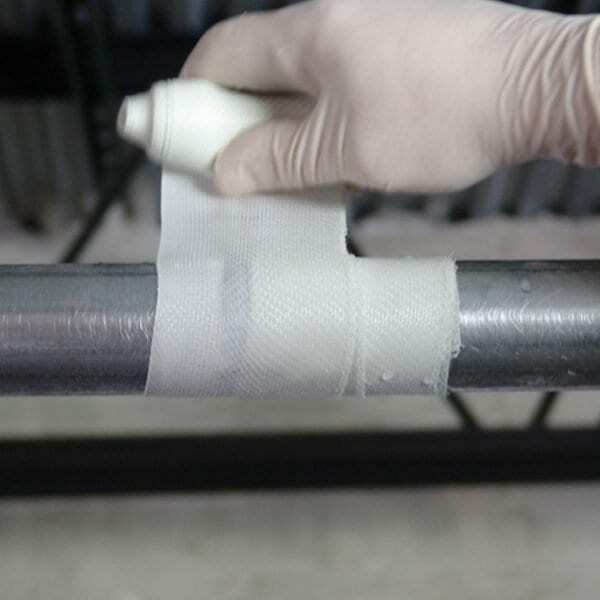 Remove the MAXPIPE 100 – Water Activated Pipe Wrap roll from water start the repair by centring the tape over the hole and wrap from bottom, pulling firmly throughout application. After 5-7 wraps, resin foam will come through the tape, which is desirable and aided by pulling tightly. Continue until entire roll is applied, building to a minimum thickness of 12mm (½”), use a second roll if necessary. Firmly press and smooth the end of roll into wrap in the direction of application. Wet gloves in water, smooth and firmly press the wet resin back into the wrap. 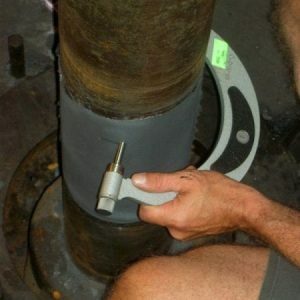 When MAXPIPE 100 is used in conjunction with a ‘plug’ of MaxMet 300 Metal Repair Stick, please follow the mixing instruction for MAXMET 100 – Cut a piece of putty stick and knead in a gloved hand and flatten out into a disc centrally over the hole pressing gently and feathering the edges. Leave to semi-harden (full cure 20 minutes) before applying the tape, although the tape may be applied immediately if necessary. KEEP HANDS MOVING QUICKLY AND WET GLOVES FREQUENTLY TO AVOID STICKING Continue rapid hand movement pressing and polishing resin in motions around and parallel to the pipe. Continue process until resins are no longer tacky. NOTE: If a thicker application is needed, spend a little less time finishing the first roll and immediately begin the application of the next. Finish the finial roll as if a single roll application. Use within 2 years of manufacture date. Store in original sealed containers at temperatures between 5°C (40°F) and 30°C (86°F).